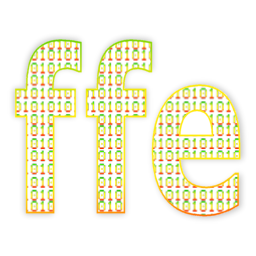 ffe - a free ffmpeg front-end for Windows, with full source code. Convert FLV to avi, and MUCH more! ffe is a simple, powerful Windows front-end for FFmpeg, designed for rapid testing of its many multimedia conversion parameters, enabling you to save lots of slightly different versions of a file very, very quickly; in other words, "find the best settings". You basically throw in video files, set the output format, and click "Do It! ", at which point FFmpeg leaps into action. FFmpeg, by Fabrice Bellard, et al., is a quite incredible command-line-only multimedia converter, capable of converting a truly vast number of input and output media formats, and depending on which binary you use, supports either a HUGE number of control parameters, or a REALLY HUGE number of control parameters. I find it most handy for converting YouTube FLV files, and the raw video from my camera. As well as converting DVD VOBs and reencoding video to x265 (HEVC), of course. You can basically convert anything to anything, whilst doing crazy stuff like mixing MP3 audio tracks with H264 video, and adding ID3 tags to AVI files. Big fun. Of course, it allows you do do things the correct way, too. No limits. "What is a front-end? ", you might ask. Simply put, ffmpeg is the "back-end", a command-line program that converts multimedia files. ffe sits in front of ffmpeg, so to speak, and enables you to access this command-line tool's many, many functions from a convenient graphics user interface, aka "GUI". ffe goes further, providing oodles of useful features, the sort of things you might need when working with ffmpeg, such as..
Magic Auto-Transforming Output Filename (never worry about overwriting previous tests). Infinite fully-customizable user presets in a handy drop-down. Fully Customizable Preset Controls and Help Buttons. 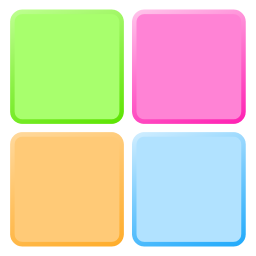 Infinite, Fully Customizable One-Click Command Buttons (you favourite settings and templates at a click). Handy, fully customizable selectors for all your common ffmpeg settings. Import/Export. Share your presets, custom command buttons, and settings, amongst other uses. Live, interactive shell console output. URL input and output (HTTP/FTP/rtmp/etc.). Accepts files and presets on the command-line. Drag-And-Drop commands (automatically generate media reports or run jobs for dropped files). Cool Floating Drop Window (automatically run your drag-and-drop command and more). Quit and Shutdown when done. Pre-Job Commands (run Windows shell commands files before the job). Post-Job Commands (and after, all with @token support). Post-File Command (run custom commands on all created files, using @tokens, even inside a batch). Media Info Reporting (ffprobe and MediaInfo support). Improved Console Output (ffmpeg output AND now, ffe output!). Super-Handy App menu for common settings. Delayed/Timed Job Start (set jobs for after bed-time). Improved App Menu (app global settings). Output Toggle (roll your own output for image sequences and more). Windows Batch Script Output (a .bat you can run wherever ffmpeg is). Lots of new context menus and options. And don't forget ffe comes with a Rastafarian-coloured logo! ffe uniquely uses MATOF™ technology to automatically update the output file name (and extension) to match your encoding parameters; you can tweak-and-go, working at a rapid pace, without obliterating any of your previous tests. And then know exactly what parameters were used to encode each and every one of them, all without making notes. ffe is FREE (though possibly not bug-free! ), and can be download as a ready-built Windows program, or a full source pack, with AutoIt code, icons, includes, all that stuff, below. And that's all you need, right? That and an FFmpeg binary, of course. It's also free, open-source software, and there are quite a few different versions kicking around. If you have some developer tools onboard, I recommend you checkout the source and build it yourself. Or else Google and take your pick.. This is generally reliable - all versions should work fine, though available options/flags/codes sometimes change between version; simply add/remove strings from your prefs. Installation is simple. Here is the entire process. Also available in plain text, here. Download the latest release (you will most likely want the static build, either 32 or 64 bit). Unzip that file to somewhere, probably inside your program files, e.g..
7-Zip is free. WinRAR (not free) can also handle the format. You should now have some files in that folder, including..
Drop ffe.exe into the same folder, next to ffmpeg.exe for instant operation. You can keep them in separate places, too - ffe will ask you where your ffmpeg binary is before you start work. ffe's operation is also simple. Drop media files onto ffe's input. Set your parameters and click "do it". ffe constructs a set of command-line arguments for ffmpeg and launches ffmpeg with those arguments. While converting, the console output from FFmpeg can be viewed live inside ffe, and when complete, the entire process log is available for viewing and searching. Everything below this point (aside from the downloads) relates to the original ffe. The information is mostly all still true, only now there is a lot more of it. There are a LOT of changes in the ffe2, and I will update this page as quickly as possible, moving it above this notice. In the meantime..
You can download and play with ffe2. Click the logo (above) or HUGE notice for a quick route to the downloads. You will notice ffe is comprehensively self-documented - there are tooltips for everything. Hover your mouse anywhere in ffe for useful info. Get details of all the new features, as well as lots of tricks, tips and hints, from the latest ffe itstory. Or check out some screencaps of the latest version in action, here. Want some funky transparent images for your drop window? Access my stash of ffe goodies here. ffe can accept instructions on its command line. You can send it files, and they will be loaded into the input upon launch. You can also load presets at launch time..load(Preset Name). Or both. Finally, you can instruct ffe to jump right to it, start the conversion immediately.. go(Preset Name) Path to File. Examples..
To load a file at launch..
To load a preset at launch (in this example, a preset named FLV to AVI)..
To load that same preset at launch, but override its input files with a different file..
Load a file (with a long path, including spaces, enclosed in "quotes"), and begin conversion immediately, using the quite fictional Convert to MPG preset..
C:\path\to\ffe.exe go(Convert to MPG) "E:\very\long path\to some\video.flv"
Load a file, and begin conversion immediately, using your ffe default parameters.. If you supply an input file path on the command-line, your output file input [sic] will be automatically filled with its converted counterpart, and if MATOF™ is enabled, the preset's parameters inserted into its name, ready-to-go. And by files, I also mean URLs. http and ftp and both fine. You can grab the first 100 frames of a movie online (or any number of frames from any part, though near the start makes sense), check it out, and then if it's what you want, download it! ffmpeg can handle lots of other internet protocols, too. Want to grab a chunk from a RTMP stream? Or grab an nice cool Icecast or pluck some Apple HTTP Live Stream? No problem! More details here. URLs also work for output files; you could grab part of a movie stream and save it directly to a remote FTP server (ftp username and password in the usual format is supported). Quite why one would want to do this is uncertain, but there you have it; flexibility! Like most of my software, if ffe finds an ini file next to itself, it switches to portable mode. In other words, if you want a portable installation, simply copy an ffe.ini file next to ffe.exe. You're done. Your ffe.ini is probably here..
On Vista, Windows 7, Windows 8, etc.. here.. If you are new to ffe, and want to start with a fresh portable install, do your first run using the special portable switch.. Which will create a fresh ini file right next to ffe, for instant portable operation. Tada! Remember to drop your FFmpeg binary (ffmpeg.exe) in there, too. Using portable preference files, you can also run multiple copies of ffe on a single system, each with a different set of options, which sounds handy for someone. Q: I've changed a bunch of settings. I want to save this to my default "ffe" preset. How do I do this without first loading the default preset and obliterating the settings I just made? A: Type "ffe" (no quotes) into the presets drop-down and hit (Shift+) "Save". Q: When I choose MPEG4 for the video codec I get an .mp4 file, but when I use libx264 or libx265 I only get .mkv. A: .mkv is probably set as your default output type and MATOF is enabled. Change (inside ffe.ini).. Replace your old ffe.exe with the new one. That's it. Because ffe will always honour your existing settings when upgrading your preferences file, you won't get the FFmpeg-updated codec strings in your codec drop-downs (as these are user preferences). Solution: rename/move ffe.ini. ffe will create a fresh ini file for you, containing updated everything - then copy back any presets out of old-ffe.ini. If you can't be bothered reading this page right now, there's a short, quick-start type guide, here. I'll include it in the next release. Like FFmpeg, ffe is free to download, and free to use, though all donations are warmly accepted. If you discover a bug, please let me know about it. Note: You will need a unicode capable Windows system to run ffe, that is; Windows 2000, 2K3, XP, Vista, 7,8 and later Windows operating systems. ffe will not run on Windows 9x and ME. The source pack contains everything you need (at least from me) to build ffe for yourself; AutoIt code, icons, includes, documentation, etc. Note, you will need to use AutoItWrapper to add the icons for the buttons. ps. if you have any problems, questions and what-not, leave a comment, below..
known bugs, foibles and limitations.. The location of Mediainfo.exe (if you use the excellent Mediainfo for media reporting) will not be remembered. Please set it manually inside ffe.ini. You can use @tokens. If you launch ffe with an empty ffe.ini file, it will crash. FFmpeg is a complete, cross-platform solution to record, convert and stream audio and video. Oh yes! ffe is coded with AutoIt, and the source is available. Have fun! FFmpeg binary builds - Cheers to Paul Dufresne for the new link. How do I get rid or set to smaller the ffe logo on the top left screen side. It's too large, almost 1/4 of the screen and overlays the boxes in your program. I create animated videos for businesses, including screencasts. Would love to create either an quick introductory video, basic usage or 30 second tutorials. Is there a help file? I'm trying to add in the '-report' to generate a report file after each file has been processed. I thought it might be a post-file-command or a post-job-command, but I have played around with both with no success and can't find a help file on how to add it in to the ffe interface anywhere? Right-click the post-job commands control. Enter a full path in there (with parameters). The input suggests using a batch script (.bat file) - handy if you need to process lots of commands. The best help file for the new version, currently, is the itstory (link at the top of the page). It is jam-packed with tips and tricks. How do I concatenate multiple files together? Great program, really useful, but could I possibly request that a button be added on the GUI for ffplay? I looked in the notes and there doesn't appear to be that function. Would be really useful. Maybe it's already there, but I couldn't work out how to activate it, if it is. "Drop ffe.exe into the same folder, next to ffmpeg.exe for instant operation." This appears not to be working: I dropped ffe.exe and its subfolders (images, info, stuff) in the bin folder of the static ffmpeg build (exaclty where the ffmpeg.exe is located), but if I start ffe.exe I will be asked for ffmpeg binary. I also tried editing the .\stuff\ffe.ini but this file seems to be ignored. The only strategy that appears to be working at the moment is to use the generated .ini file (the one generated in %USERPROFILE%\AppData\Roaming\corz\ffe) to switch ffe.exe to portable mode (saving it aside of ffe.exe). It sounds like you are saying the initial "portable" switch is broken, but it works if you copy the ini file over manually. It sounds like a permissions issue, ffe not being able to create the ini file in the chosen location. Try the same thing somewhere outside your program files tree. I'll add an error message in a future version. Thanks. Hi and thanks for your excellent program. Is it possible to do a batch process with two inputs? I want to take a folder of video clips and blend them together. It works when I put in a single file for each input, but I can't get it to work with the ffe wildcards. If you look in your current ffe.ini, there will be a backup section named..
Also note: there is an "Edit ffe.ini" option in the tray menu - no need to raking about!